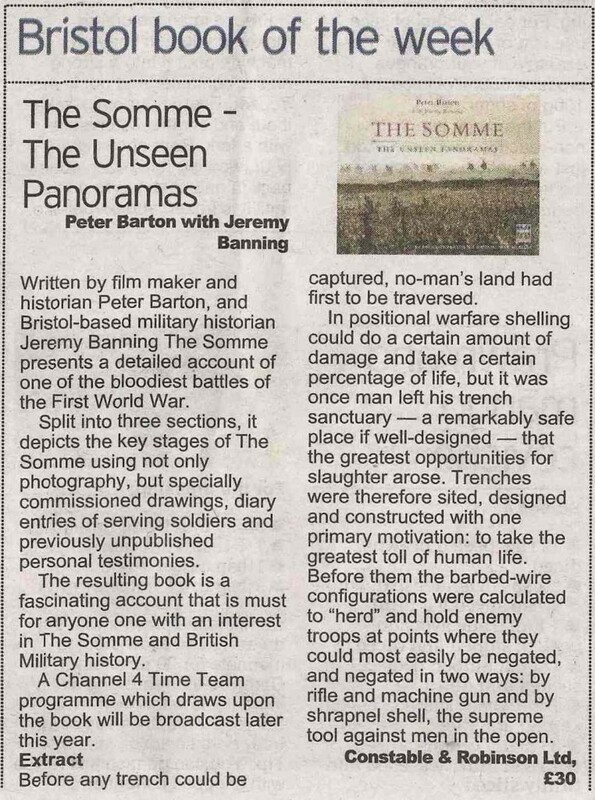 Over the past few months I have been in touch with people at the Bristol Evening Post (whose stories also feature in the Western Daily Press and Bath Chronicle) after they ran the story about Alfred Flux’s graffiti in the Bouzincourt Caves on Armistice Day 2010. 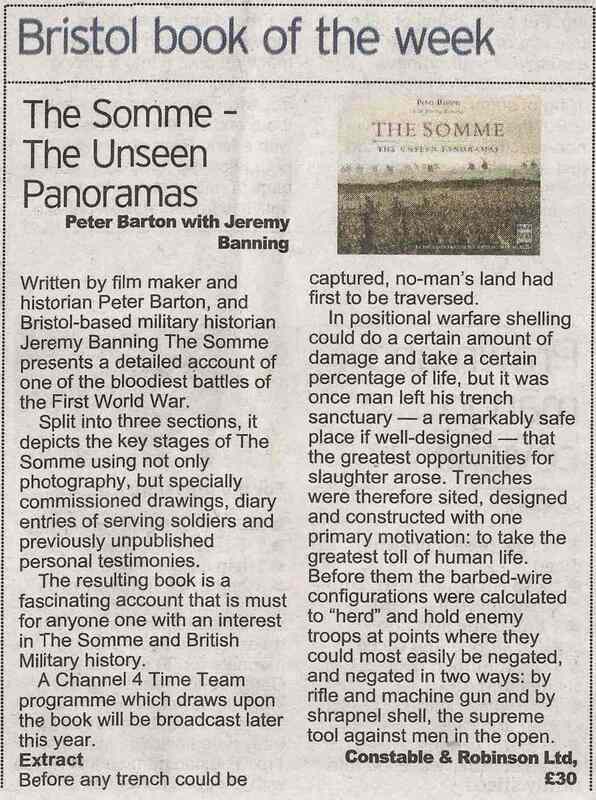 I had mentioned that the revised version of the Somme panorama volume was out in February and had arranged for a copy to be sent to them for review. I have just spent weekend away but was texted yesterday by a neighbour who congratulated me on the book being ‘Bristol Book of the Week’. Luckily she had saved me a copy of the review which is attached below. My thanks to Suzanne Savill for organsing this.